During restoration work at the old Bombas Gens factory, remains of an old alquería (farmhouse) were found, located towards the back of the parcel of land, next to present-day Doctor Machí Street. The alquería, known as Casa Comeig, was one of the scattered farmhouses lying along the old Camino de Marxalenes, merging into the ancient suburban landscape of the Valencian Huerta and surviving without significant changes until the 20th century. Some examples of this traditional farming area still remain and can be seen in nearby Parque de Marxalenes: Alquería de Félix and Alquería de Barrinto would be very similar to our Casa Comeig. The Bombas Gens’s alquería was a large building whose construction started towards the end of the 14th century. The farmhouse witnessed a period of splendour after its complete renovation between the end of the 15th century and start of the 16th century. It was then elegantly fitted with sumptuous elements including floors of Manises style tiles, many of them recovered during the archaeological digs carried out during the summer of 2016. 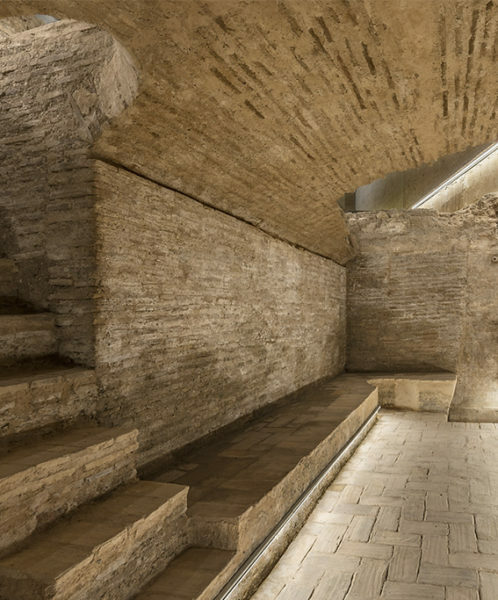 However, the most outstanding element of this house is the underground cellar built during that refurbishment and which has been preserved entirely intact. The wine cellar is a spacious vaulted room accessible from a brick staircase. 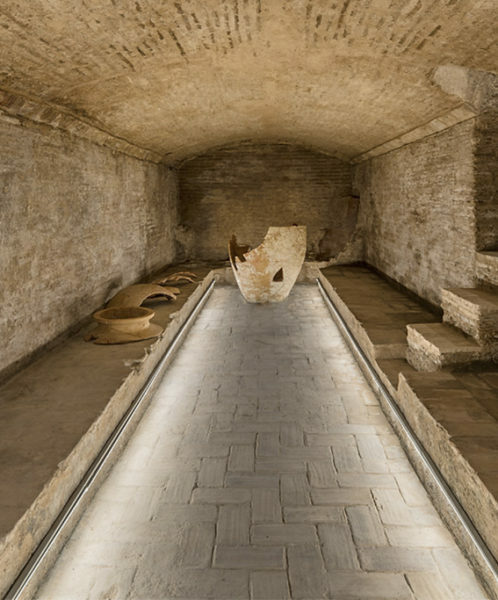 In the room we find elements typical of wine storage such as benches along the wall to lay the barrels and earthenware jars, and a small pond to collect the must from the grape-treading basins – one of which has been preserved. On the walls of the wine cellar, returned to their original place, some very old and rare relics can still be seen. For example, a spike that probably once held the pitcher used to draw wine from the large jars. Beyond all these elements, one of the most memorable facts was finding one of the earthenware jars in its original place, attaching even more importance to the site and providing it with great historic value. Its exact location in the interior of the wine cellar draws us back to the origin of this room. The jar was recovered almost intact and has been restored. The cellar has also been restored and prepared for guided visits. 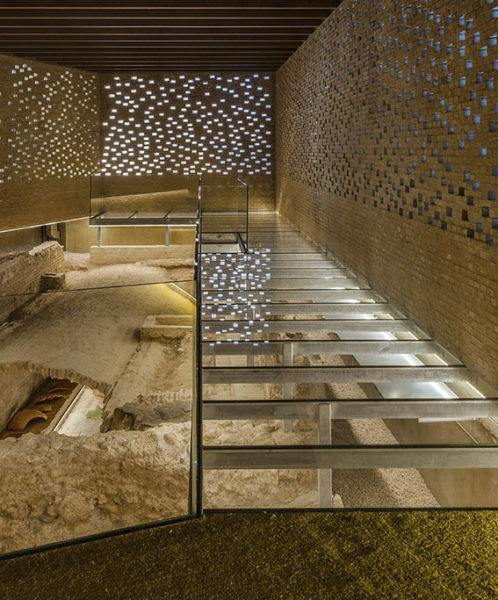 A room designed by Ramón Esteve Arquitectura y Diseño will protect archaeological findings and exhibit ceramic pieces and tiles recovered during the excavation process, enhancing the value of this world-class heritage site. Visitable only by guided tour.